Let’s start with keyboard shortcuts. It’s one of the single best investments of time you can make to further your spreadsheet skills. It’s all about reducing your reliance on the mouse and instead harnessing the awesome efficiency of navigating spreadsheets from the keyboard. Quickly move around your data ranges by holding the Ctrl key (or Cmd key on a Mac) and the Left or Right or Up or Down Arrow keys. Hold down Ctrl (or Cmd) key and the Shift key with your left hand and the Left or Right or Up or Down Arrow keys. Move quickly between your worksheets by holding down the Ctrl key and Page Up or Page Down. Toggle between absolute and relative cell references using F4. Quickly jump into a cell to edit the contents, by pressing the F2 key. Highlight a whole row by holding down the Shift key and hitting Spacebar. Similarly, highlight a whole column by holding down the Ctrl key and hitting Spacebar. Find more in the official Microsoft Excel documents for Windows or Mac. Chances are you’ll want to re-apply format options again and again in your worksheets, for example when you’re preparing reports that need to look consistent. There’s a slow way and a quick way to do this. The slow way is to just repeat your steps each time, selecting fonts, sizes, shading, borders etc. to match. Pro-tip: if you double-click the painter tool when you select it, it’ll continue to be available so you can re-use again until you cancel it. You can set up the status bar, along the base of your workbook, to display key metrics about the range of data you highlight. If you quickly want to check the sum, min, max, average of a range of data then it’s a really handy trick. Start by highlighting the whole range where you want to insert column headings. Type the first column heading in the first cell and hit Enter. The cursor will jump sideways to the adjacent cell, not down, where you can enter your next column heading. Use the tab key to auto-select formulas and save yourself the trouble of typing them out in full. Select cell with your formula. Highlight the specific part of the formula using Shift + Left arrow, or in the formula bar. Press F9 to display the result of the formula. Press Esc keep formula or Enter to keep the value. Excel has built-in generic data lists (e.g. Jan, Feb, Mar, Apr,…) that you can access by dragging down one of the values (e.g. Jan) to auto-complete with the list. Try typing “Jan” into cell A1, grabbing the handle on the bottom right of the cell and dragging down. You’ll get “Feb”, “Mar”, “Apr” etc. in cells A2, A3, A4, etc. Well, you can also add your own custom lists. So, say for example you want to refer to the same 5 cities repeatedly in your worksheet, then add a custom list to save yourself some time. Go to Excel > Preferences > Custom Lists. Type in your new entries in the left pane. Click “Add” to add the new, custom list. Back in your worksheet, type an entry from your list (e.g. London), then drag down with the corner handle to fill the cells with your new custom list values. Do you ever find yourself referring to the same range of cells again and again? For example, you keep referring back to the same table in a lookup formula. Well you can name that range and then refer to it by this name, which saves you having to find and highlight the range every time. The GoTo feature is a super handy way of finding things in big ranges of data, for example finding blank cells that are missing data, which you need to fill in. Now you have them all highlighted, you can work with this whole non-contiguous range at once, for example by highlighting them all yellow to identify them and then inserting values. 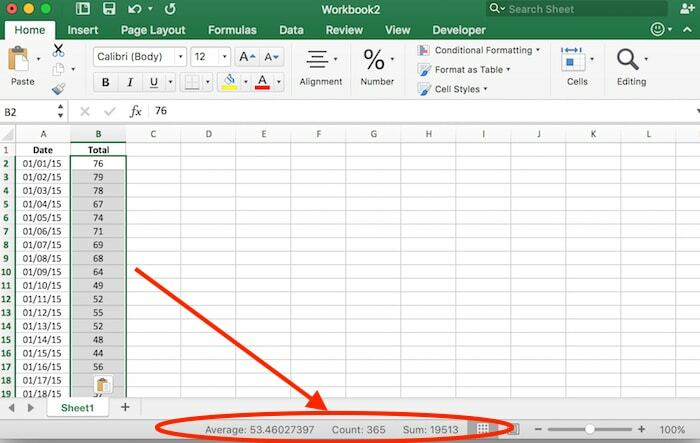 Excel Tables are a powerful feature that can speed up data entry, formatting, calculating and well, just about anything else you need to do with a table of data. They’re basically a way of telling Excel that a range of data is all related and to treat it as such. Working with Excel Tables is really slick. 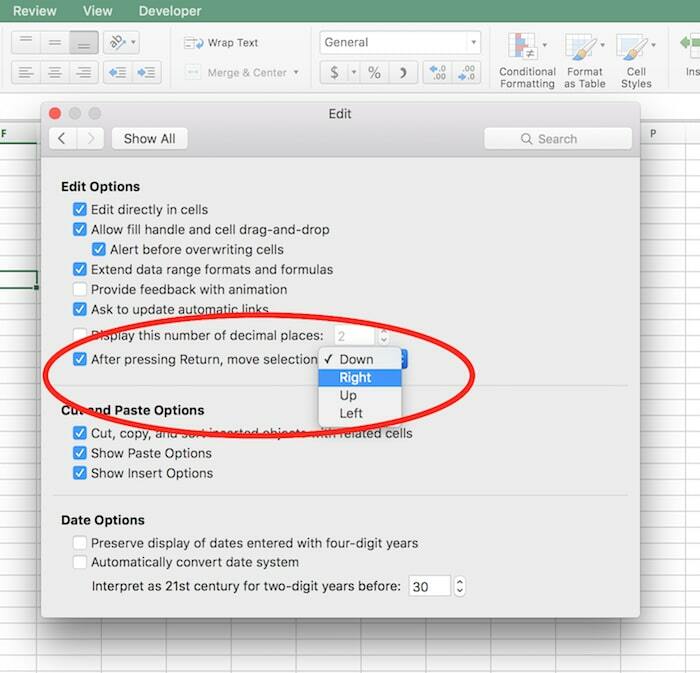 For example when you add a new row or column of data, Excel will auto-format it for you. Excel Tables come with Sort and Filter options already built in. If you add a calculation then Excel will fill down the whole column for you. Highlight the range of data you want to turn into a table. Go to Insert > Table menu. Select the My Table Has Headers option if required. 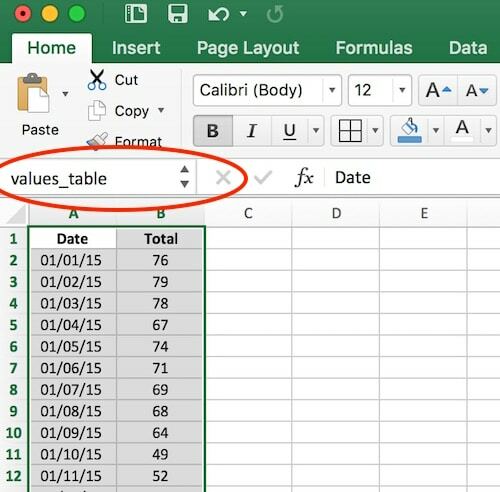 Excel will add a Table tab to your ribbon, where you can access features and formatting options. Macros are small, custom programs in Excel that you can use to create bespoke features and record common processes so that they might be easily replicated. This is a more advanced Excel topic, so let’s just explore one example in action. As the following images show, I have a plain table of data that I format and add a new calculated column to. However, since I recorded all these steps as a macro, I can now repeat these steps with one simple mouse click. To achieve this, you’ll need to first add the Developer Tab to your ribbon (go to Excel Preferences. Click Popular, and then select the Show Developer tab in the Ribbon check box. Previous Previous post: Refugees resettling in the U.S. in 2015: where from, where to and who?